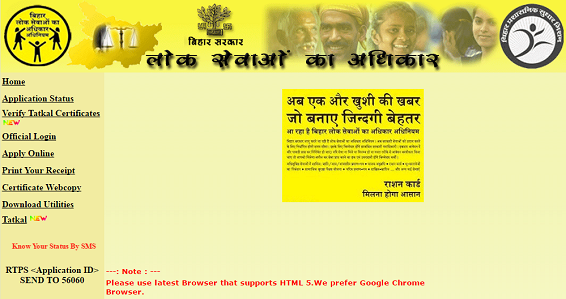 Recently Bihar Government started a Online portal named "Right to Public Service" or "RTPS". From this portal you can apply for different certificates like Income Certificate, Domicile Certificate, Residence Certificate and many more Certificates. (Awasiya Praman Patra, Aay Praman Patra, Jati Praman Patra, Charitra Praman Patra). http://210.212.23.51/rtps/ is the official website of Bihar RTPS. Most of peoples don't know about how they can apply for certificate for RTPS? You are facing difficulties while applying through RTPS then you can just follow few simple steps given below and you apply for your certificate which you want. There are few simple steps for applying for certificate through RTPS. 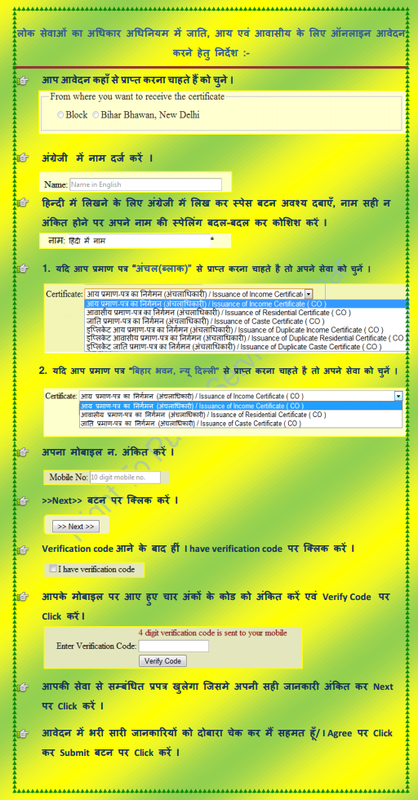 Click on to "Apply online"
Now you can select from where you want to receive the Certificate weather from "Block" or from "Bihar Bhawan, New Delhi"
Then Select the which type of Certificate you want "Income Certificate, Residential Certificate, Caste Certificate or you want to take a duplicate copies of this Certificate"
Now Click on I Agree and click to Submit Button. Now your Application is Submitted Now you can Check your Application Status After one day of Apply. How to Check the Application Status of RTPS? Now you are applied for any certificate and want to check your Certificate Status then just follow few simple steps given below. Then Check the left hand side. Click and Enter "Application Status"
Here Enter your Application ID and Click on Status. You can check your Application Status either processed or not. How to Check RTPS Certificate Status by using Mobile? You want to check your RTPS Certificate Status by using the Mobile then you can just send a SMS you will receive your RTPS Application Status. How to Download RTPS Caste, Income and Residence Web Copy Online? Click "Certificate Webcopy" on Left hand side. Enter your Application ID and Click on "show" or "Print" Button which you want. Note: RTPS Bihar took a 15 days from Application successfully applied. After 15 days you can collect your certificate from your block. If you are facing any problem while using RTPS then just comment below we will try to solve it..